Arrive in style with your new Lincoln and save with the Lincoln XPlan. With 0% financing for up to 60 months on most Lincoln models and the XPlan discount you can drive a luxury vehicle at an affordable rate. Contact me today to get your the XPlan price on your favourite Lincoln vehicle. All the current incentives will be changing November 2nd so now is the time to place your factory order or stock purchase. Deales like the Ford Winter Safety Package and the Costco rebate will no longer be available after November 2nd. If you live in Toronto or York Region call me today! UPDATE: I am now working at Donway Ford Lincoln in Toronto. I look forward to hearing from you. There is a new $2,500 rebate on the 2010 Taurus. this new rebate can be combined with your Ford XPlan price. Call me today to look at this great deal on this great car. UPDATE: After 24 years at the same dealer I am now working at Donway Ford in Toronto. The same great service, the same great price! The Ford Winter Safety Package on the Focus Fusion and Escape. $1,000 Costco Member Offer on the Ford Edge, Flex, Fusion and Escape. Up to $3,000 for your 1995 (or older) trade in using the “Recycle Your Ride” program. $300 from the Federal government for your 1995 (or older) trade in. Up to $8,000 in dealer credits combinable with your XPlan price! This is a great time to maximize your Ford X-Plan program price with all the additional incentives Ford is offering. Contact me today so we can discuss your vehicle purchase. 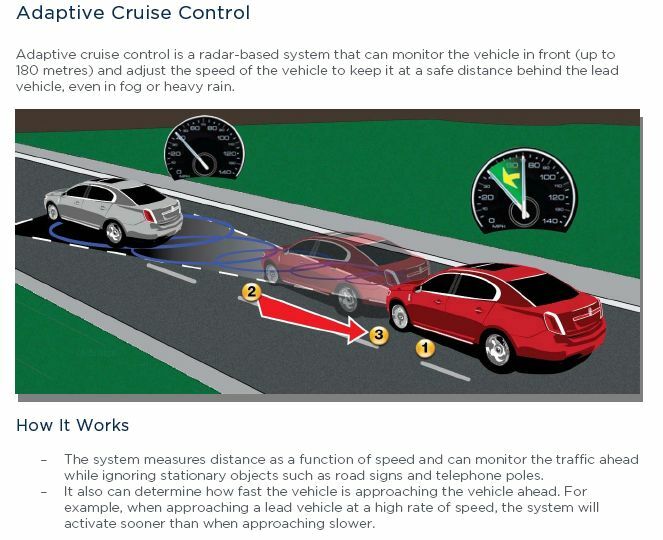 Great new feature on selected Ford and Lincoln vehicles called Adaptive Cruise Control. Click on the image above for details on this great safety feature. Update October 2017 : I am now at Donway Ford Lincoln in Toronto. 1-877-61X-PLAN or visit the Contact page. Thanks and see you soon.